Although I give more thought before purchasing any bags these days, I still get labeled a bagaholic on ocassion by my sister. Besides looking at quality, the style is an important factor especially if I do not have this kind in my possession. Currently circle bags are catching my attention and definitely a style lacking from my wardrobe. 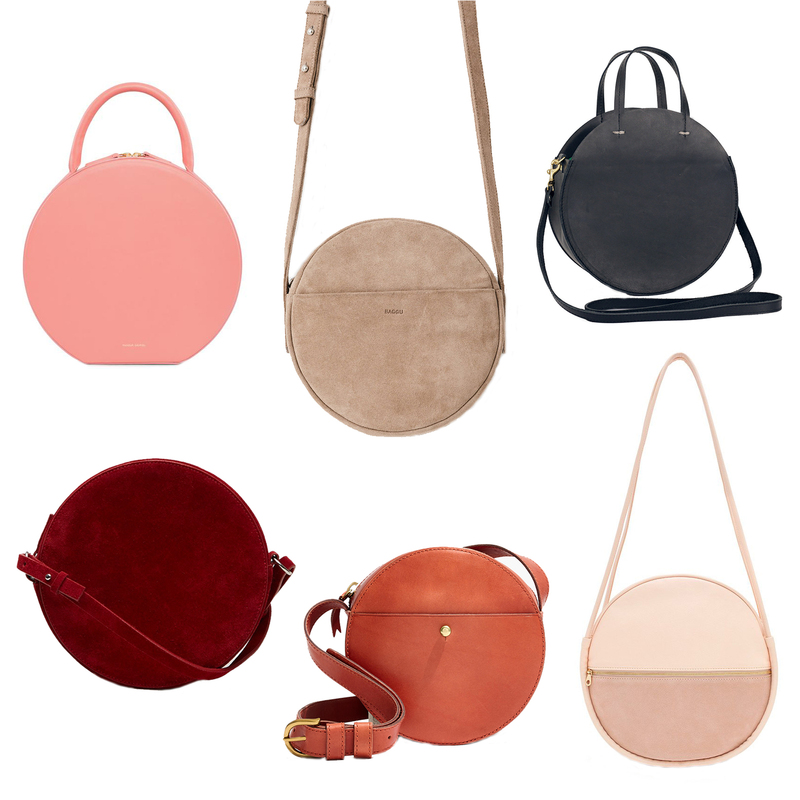 Typically I would stick with the classic shapes, but with such simple designs circle bags could easily become a staple. My favorite out of the bunch is by Mansur Gavriel due to its mod retro look. It reminds me of a hat box, but stays modern with its minimalistic design. Also a favorite is the one by COS due to that gorgeous deep red suede fabric. I’m also loving the neutral colored suede on that crossbody by Baggu. Which of these circle bags do you like? Here’s to another week! Have a great one!